I've been running this challenge since January 2016. So, two whole years of photo-a-day challenges. The reason I'm so unsure about creating this is the absolute drop in activity in the hashtag. And, to be honest, I'm even crap at sticking to it. I know I want to have one of these up for April since my blog is turning 4. 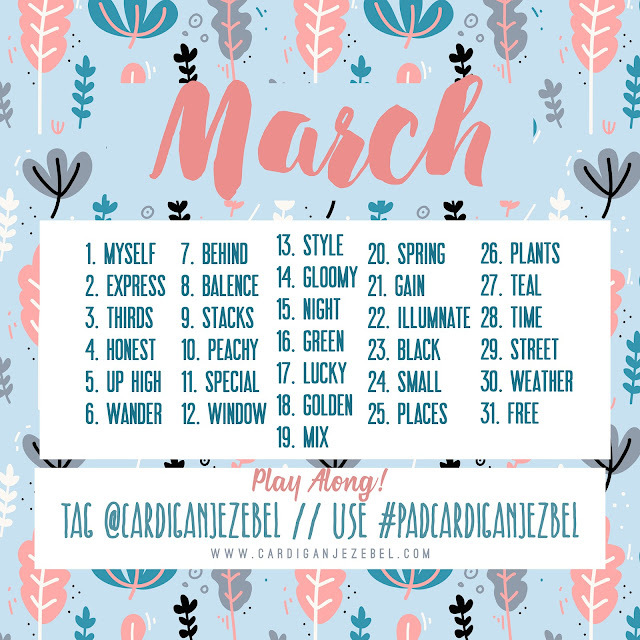 But, I'm not 100% how much longer I'll be creating the #PADcardiganjezebel photo challenges! Please let me know if you want me to continue to create these challenges. Because I would love to rediscover my love for it!